A set of functions and decorators for functional programming. Lack of statements—In its purest form, functional programming does not use any statements. Statements are things like assignments (e.g. x = 1), for loops, if statements, etc. Instead of statements, functional programs are chains of function calls. 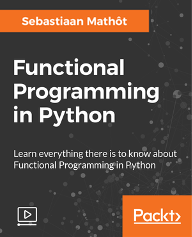 Short functions—In the purest form of functional programming, each function is a single expression. In Python, this can be implemented through lambda expressions. Referential transparency—Functions are referentially transparent when they always return the same result given the same set of arguments (i.e. they are stateless), and when they do not alter the state of the program (i.e. they have no side effects). 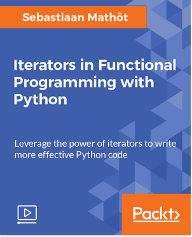 A currying decorator that turns a function with multiple arguments into a chain of partial functions, each of which takes at least a single argument. The input function may accept keywords, but the output function no longer does (i.e. currying turns all keywords into positional arguments). fnc -- A function to curry. A curried function that accepts at least the first argument, and returns a function that accepts the second argument, etc. Filters rows from a datamatrix or column based on filter function (fnc). If obj is a column, fnc should be a function that accepts a single value. If obj is a datamatrix, fnc should be a function that accepts a keyword dict, where column names are keys and cells are values. In both cases, fnc should return a bool indicating whether the row or value should be included. New in v0.8.0: You can also directly compare a column with a function or lambda expression. However, this is different from filter_() in that it returns a datamatrix object and not a column. fnc -- A filter function. obj -- A datamatrix or column to filter. A new column or datamatrix. Maps a function (fnc) onto rows of datamatrix or cells of a column. If obj is a column, the function fnc is mapped is mapped onto each cell of the column, and a new column is returned. In this case, fnc should be a function that accepts and returns a single value. If obj is a datamatrix, the function fnc is mapped onto each row, and a new datamatrix is returned. In this case, fnc should be a function that accepts a keyword dict, where column names are keys and cells are values. The return value should be another dict, again with column names as keys, and cells as values. Columns that are not part of the returned dict are left unchanged. # dict comprehension wrapped inside a lambda function. fnc -- A function to map onto each row or each cell. obj -- A datamatrix or column to map fnc onto. A memoization decorator that stores the result of a function call, and returns the stored value when the function is called again with the same arguments. That is, memoization is a specific kind of caching that improves performance for expensive function calls. This decorator only works for return values that can be pickled, and arguments that can be serialized to json. The memoized function becomes a callable object. To clear the memoization cache, call the .clear() function on the memoized function. The total size of all cached return values is available as the .cache_size property. Changed in v0.8.0: You can no longer pass the memoclear keyword to the memoized function. Use the .clear() function instead. A context manager (with) for easy profiling, using cProfile. The results of the profile are written to the file specified in the path keyword (default=u'profile'), and the sorting order, as accepted by pstats.Stats.sort_stats(), is specified in the the sortby keyword (default=u'cumulative'). Returns a new DataMatrix to which a column has been added or in which a column has been modified. The main difference with regular assignment (dm.col = 'x') is that setcol() does not modify the original DataMatrix, and can be used in lambda expressions. name -- A column name. value -- The value to be assigned to the column. This can be any value this is valid for a regular column assignment.